John Arne Riise has undoubtedly spoken on behalf of many Liverpool fans with a sincere apology to Dejan Lovren. The former Liverpool left-back took to social media to admit the Croatian had ‘won him over’ after another superb World Cup display. Lovren proved instrumental in shutting out Lionel Messi and his fellow Argentinian frontmen as his side recorded a shock 3-0 win. Another assured and stern performance marked the latest answer to critics and continued his magnificent form for club and country in 2018. Riise was happy to admit to Lovren’s vast improvement as one of those that had previously doubted him. Familiar uncertainty over Lovren’s Anfield future raged to new heights in October’s 4-1 defeat to Tottenham when he was substituted after 30 minutes having largely been at fault for the hosts’ two early goals. The arrival of Virgil van Dijk in January served as a notable turning point, with Lovren blossoming ever since the formation of Liverpool’s now-first choice centre-back partnership. Shifting onto the right-hand side has evidently made a monumental difference to his composure on the ball and positional awareness. 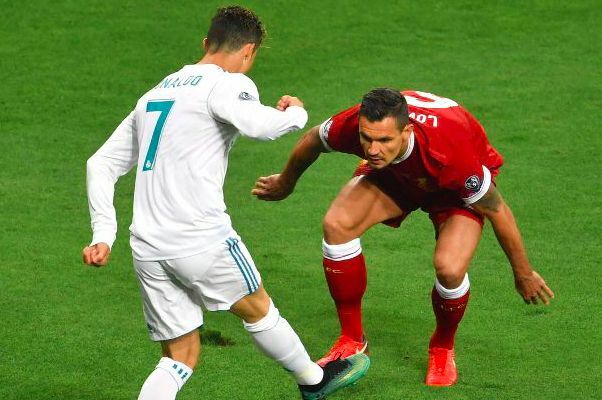 His outstanding display against Cristiano Ronaldo in May’s Champions League final all-but confirmed his ability to perform on the biggest stage, not to mention his starting spot next season. With the rise in reliability and performance levels has come the emergence of a valuable leader for Jurgen Klopp.